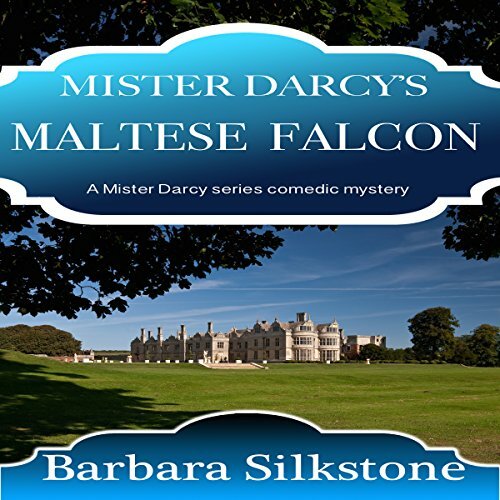 In this, the eighth book in the Mister Darcy comedic mysteries series, the Maltese Falcon holds the key to finding the Bogart Diamond, a priceless gem that was stolen from the ancient order of the Knights Templar. Darcy is tasked with recovering it. I have enjoyed this whole series. The humour is wonderful, yet the essence of Darcy and Elizabeth is always present. The cast of chatacters fit the story so well, you can't help but enjoy yourself. 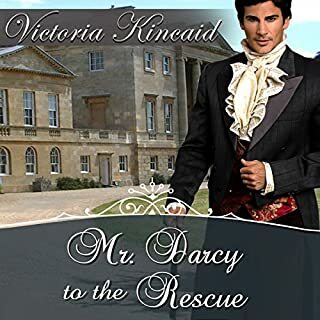 This is a great book; this is the eighth book in the Mister Darcy series written by Barbara Silkstone and narrated by Jannie Meisberger. Darcy and Lizzie, now happily married, are off on another Templar quest. 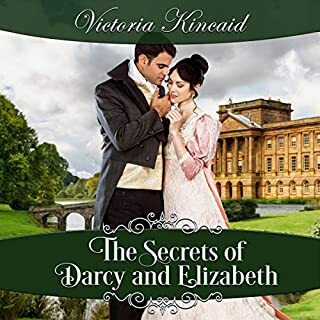 With their first baby due in two months, Darcy insists that Lizzie remain in London while he adventures to Malta. Pregnancy will not hamper Lizzie; she is determined to stand by her husband. Lizzie inserts herself in the caper, accompanied by Boris, the Russian wolfhound, and other surprise stowaways. 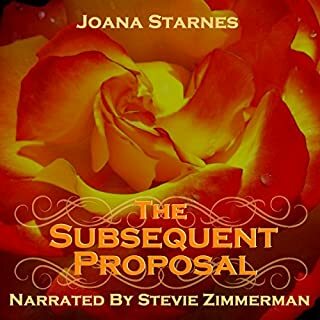 The narrator Jannie Meisberger did a wonderful job with this book. She did a great job with the different voices of each character in this book. It was very easy to listen to in one sitting and I didn’t want to stop listening until the end. 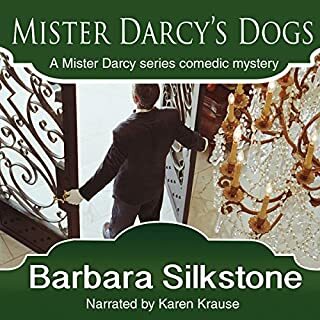 Where does Mister Darcy's Maltese Falcon rank among all the audiobooks you’ve listened to so far? Top middle of the pack. It kept my interest, amused me, and gave me Awwww! dog moments. I also really like Templar stories and incorrigibly optimistic heroines. What was one of the most memorable moments of Mister Darcy's Maltese Falcon? Definitely the bunny slippers. This is my first Mister Darcy story, so I've never encountered the bunny slippers before. An admirable communication tool. It was a little too stop-and-go; could have been smoother, but very good overall. Get ready to laugh yourself silly! Can't think of better reading to contradict a bad day than a Barbara Silkstone book, and this one truly meets ALL expectations! No spoilers here, see publisher's blurb for plot clues. The only clues given here are that this one is as coffee snorting good as the rest of this series, or any other Silkstone imagination trip for that matter. Jannie Meisberger seems to hone her performance with each new book. Go Jannie! Perhaps if my friend was library dog-lady with a penchant for modern-day mysteries solved by Jane Austen characters and their clever canine counterparts. I had lots of time, so I did listen to it in one day. It was largely an enjoyable listen. I felt that the solving of the mystery at the end unfairly relied on a mystical event rather than some impressive display of logical deduction. I have not listened to any mysteries other than Ayn Rand's throughly logical plays and Atlas Shrugged (The consummate mystery). I enjoyed the story and loved Jennie Meisberger's narration. As expected, Lizzy does not listen to Darcy, when he tells her her to stay home. Even more importantly, Boris, her Russian wolfhound tags along and it turns out to be a good thing he does. Barbara sends us romping on another fun lark . Even though this story is the seventh in the series it can be read as a stand alone story. What other book might you compare Mister Darcy's Maltese Falcon to and why? A light Sherlock Holmes story with clues to follow. No but I liked her cadence and diction. Follow the clues to high adventure. Would you consider the audio edition of Mister Darcy's Maltese Falcon to be better than the print version? I did not read the print version so I would not know. No, it is a nice easy mystery. The story works because the interplay of the characters is fun, and the word play is clever. I listened to the first one. The first set the stage for the series. This is a meatier story and you get to travel to Malta. I loved Annie and Sammy. All the animals were perfect. This has all the makings for a wonderful listen: action, enjoyable characters & a fun plot. I especially loved the British aspect as I tend to really enjoy reading stories that include the posh lifestyles of Brits. I don't know that I would classify this as a "comedic mystery" though. I didn't find myself really laughing all that much. Sure some parts were tongue in cheek but it wasn't obviously comedic. Still really enjoyable though, and if you love cozy mysteries with some action mixed in then you will love this listen! 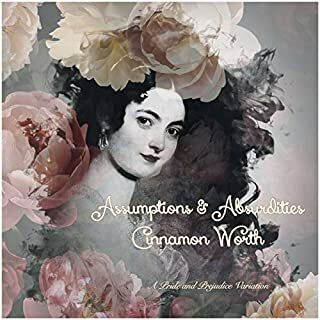 I was gifted this book in exchange for my honest review.
. murder mystery and intriguing.. what else for a cozy mystery.. great job curl up with your covers and enjoy...This audiobook was provided by the author, narrator, or publisher at no cost in exchange for an unbiased review courtesy of AudiobookBoom dot com."